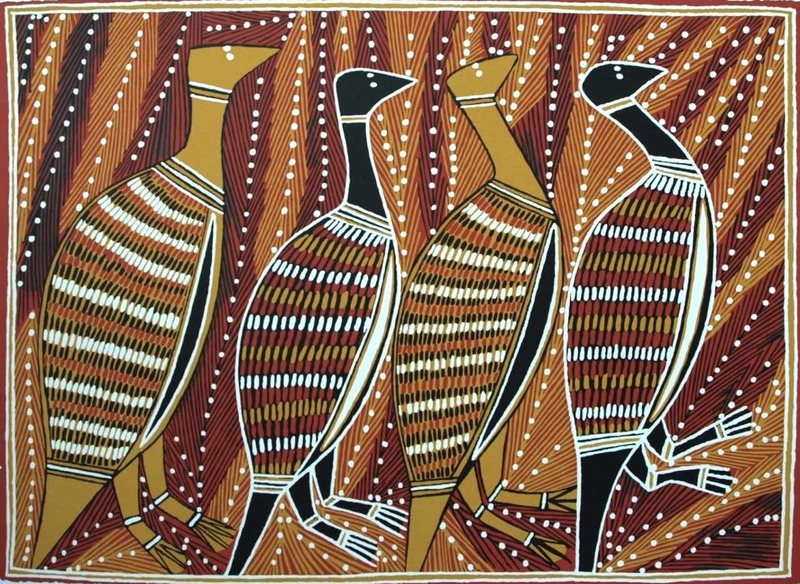 Edward Blitner’s paintings display the stylistic approach and subject matter associated with his traditional country along the Roper River in southern Arnhem Land. 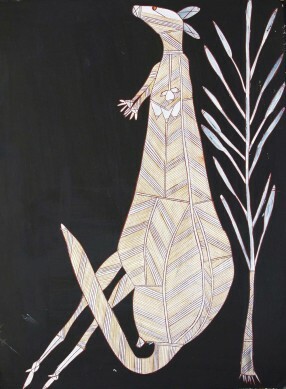 Blitner uses a palette of natural ochre colours and adopts the traditional patterning of cross-hatching that is known as rrarrk. Edward Blitner was born in southern Arnhemland in 1961. His bush name is Taiita and he is from the Ngukkurr Community in Naiyarlindji country on the Roper River, approximately 270 km south-east of Katherine in the Northern Territory. Blitner paints the stories of people who live along the river country, their lives revolving around subsistence hunting in Marra, the Sea, or Alawa, the Freshwater Billabongs. His paintings depict the wealth of animal and plant life of the region and the rich wetlands of the Roper River stretching out to Boorroloola on the coast of the Gulf of Carpentaria. Exhibiting Artists include: George Milpurrurru, England Bangala, Billy Dullman, Djardie Ashley, Jimmy Djelminy, Roy Burnyila and Andrew Wanambi.